Almost half of Chinese women give birth by caesarean section, a rate that is three times higher than the 15% recommended by WHO, according to two Chinese clinicians writing in The Lancet this week. Dr Mi Jie and Dr Liu Fangchao of the Capital Institute for Paediatrics in Beijing say China has an urgent need to reduce the number of caesarean births because they have a high risk of related complications or death, and because babies delivered by caesarean section are more likely to have respiratory problems, obesity, and other metabolic diseases. 1. Women fear pain and loss of vaginal tone after natural birth. They see caesareans as safer faster and less painful. 2. Women wrongly believe that they will regain their pre-pregnany figure better after caesarean birth. 3. 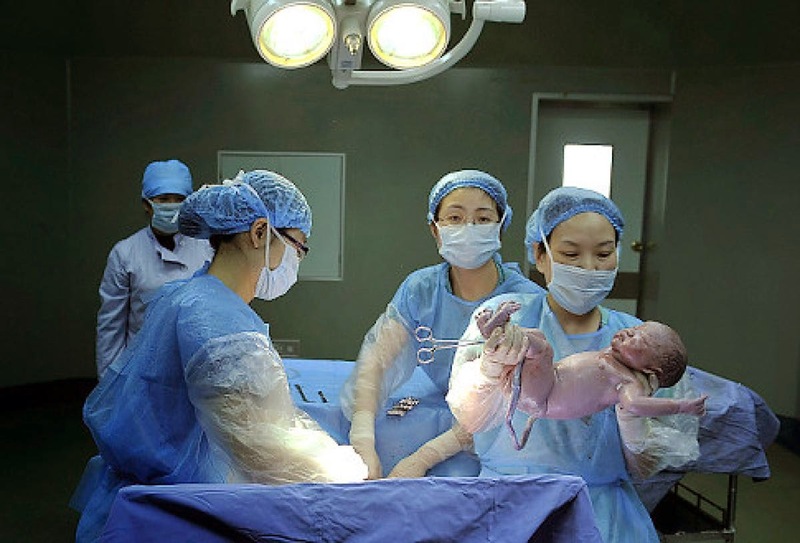 Chinese women like to choose a 'lucky' date to have their baby by caesarean. 5. Caesareans are more profitable for hospitals (12000 yuan vs 6000 yuan for natural birth). "The Chinese government should develop specific policies and measures, such as use of rate of caesarean section without medical necessities as one of the hospital’s overall rating components, and popularising of natural childbirth," they write. Hospitals and communities should promote health education in women of reproductive age to provide a more accurate idea of delivery," they conclude.